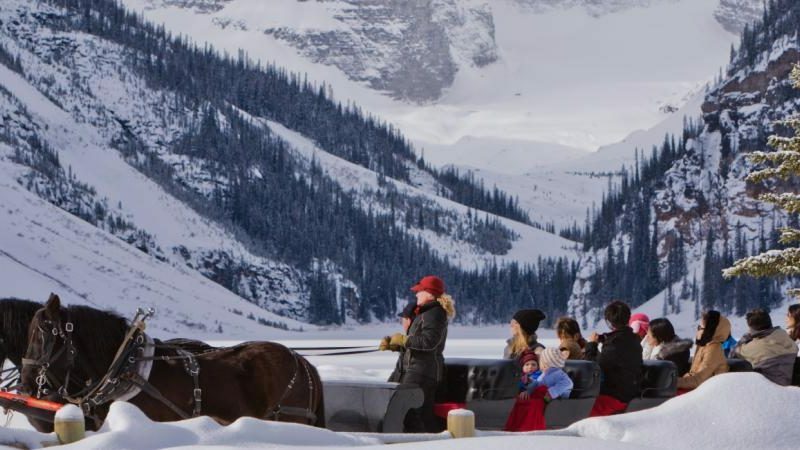 Home of the Canadian Rockies – the best known and loved part of the Rockies is undoubtedly the section covered by the Banff and Jasper National Parks. Stretching from Banff, Alberta in the south to Jasper in the north and including the phenomenal Icefields Parkway,the landscape is blue-green lakes towered over by snow-capped mountains all the way. But Alberta has more too, including the cowboy city of Calgary and the annual rodeo of rodeos, the Calgary Stampede, the Hoodoos of the Badlands region and the festival city of Edmonton. Not to mention the scenic beauty of Waterton Lakes National Park and Kananaskis Country. Why should I Visit Alberta? While Lake Louise is the best known, Moraine Lake, with its views of Mount Temple and the Ten Peaks, is utterly lovely, as is tear-shaped Peyto Lake. The Yoho National Park is the smallest of the trio (Yoho is a native word meaning “awe”) but boasts The Spiral Tunnels – railway tunnels in the shape of an elongated figure of eight that wind their way down into the Kicking Horse River Valley. By this extraordinary feat of engineering, the front of the train actually crosses over the top of the rear as it negotiates the 4.5% gradient. Nearby you can see the Takakkaw Falls, one of the highest falls in North America, cascading 833 feet from the Daly Glacier in two stages to join the Yoho River. The nearest airport is Calgary, a modern prairie town with historic roots, which comes alive in July with its famous stampede, but which also has a good selection of attractions such as the Calgary Tower, art galleries and museums.